This picture shows a 1920 version. Not much information could be found about this model. 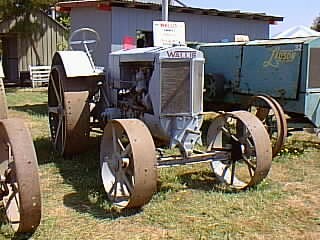 In 1919, the Wallis Tractor Company merged with the J. I Case Plow Works.